I had a fantastic time working with you this past semester. It was a pleasure to work with all of you on your semester-long projects. Throughout the semester, you will be working on a portfolio designed to use your PR skills. I will be sharing examples of completed physical portfolios in class today. The first step in this project is to determine what client you would like to develop a portfolio for. You should identify a local business, nonprofit or organization that you would like to partner with for this semester-long project. This will be your "client" that you will connect with as you research and gather information for this project. Once you have a potential client, you will need to get it approved by the instructor. After that, you will want to meet with your client to begin researching and gathering information for this project. Is there an aspect of this organization that I personally connect to? Is this client in an industry that relates to my ultimate career goal? What degree of difficulty will there be in getting cooperation from this client? Will I need to get approval from a national corporate office for some of the campaign elements? Is my campaign contribution original and unique? Is there an identifiable need for a PR campaign in the potential client? NOTE: Some of you may choose a company that already has many of these campaign assets available in print or online. Please be aware that I am looking for you to create an ORIGINAL campaign -- not re-purpose an existing media kit that might already exist. If you do choose a well-known organization with existing PR assets, I will expect that your work will be original. Prior to committing to your potential client, you should email me with your suggested pick. You are also free to contact me for an e-mail, phone, Skype or in-person consultation on your choice if you prefer one-on-one guidance on this project prior to beginning your work. Please note: Although you will be conducting real planning and research for the client, you will not necessarily be executing the campaign. Thus, you should be clear in identifying your intentions to any organization that you contact. You should plan to "deliver" the final product to your client at the end of the semester. They can determine what (if anything) to do with it. For the purpose of this class, your success will be based on the portfolio itself. WHAT WILL THE FINAL PORTFOLIO INCLUDE? There will first be DRAFT version due earlier in the semester. The final version (revised) will be turned in at the end. 2. History/Backgrounder of the organization/activity or one of its major events. 7. An email campaign piece. 10. Your resume (or print out of LinkedIn resume). Please note that the above elements are subject to change, but this does represent an estimate of the types of writing and strategic content you will be developing this semester. We will be working on the above one piece at a time through the coming weeks with the goal of acquiring a completed portfolio at the end of the semester. This completed project comprises a large portion of your semester grade, but it will also be something that you can use to show off your completed work to potential future employers! DO YOU HAVE AN OVERVIEW DOCUMENT THAT I CAN SHARE WITH MY CLIENT? Yes! Use the link below to get a printable document that you share with your client. It gives a bit of context and explanation on the structure of the project, including what they should expect from students. If you have any suggested edits or additions you would like me to add to this document, please let me know! Examine various evaluation and measurement tools to help us better understand how to measure the effectiveness of our campaigns. Have final one-on-one consultations during the week of April 18-22 before turning in our completed portfolios on April 26. Continue to work on and finalize all elements for your semester project campaign portfolio for your client. Review the original blog post with assignment details for a list of what should be included in the final submission. This will be due on Tuesday, April 26. Create an original newsletter for your client and include this in your final portfolio. Due with final portfolio. Create an e-mail campaign piece for your client and include it in your final portfolio. Due April 7. Create a one-page overview of a potential digital strategy for your client. Due with final portfolio. Add this overview to your final portfolio. Begin the take-home final exam, which is due by email no later than midnight at the end of Tuesday, May 3. For the week of April 18-22 , we will be holding one-on-one consultations with all students to discuss and review progress on and completion of your semester project. Please be prepared to discuss any last-minute concerns and/or questions you have for this project, which will be due on April 26. It is anticipated that each student will meet for about 7-10 minutes with the instructor on their designated day of consultation. For this week, students will only need to show up to class on the day they are assigned. If your last name begins with the letters A-L, then please show up for a consultation on Thursday, April 21. Wikipedia.org has become one of the most popular information Web sites – despite the fact that it is a nonprofit, user-edited resource. Many people use the site for research and many companies are monitoring how they are represented on their respective entries on the site. This week, we will take a closer look at the Wikipedia format -- and the role it might play in PR and/or advertising campaigns. Most mainstream companies already have a wiki page. Search for any brand on Google and see how high the wikipedia entry ranks -- it is usually among the top results! To become familiar with the wiki format, register with the site so that you will have permission to edit and/or create an entry. There is a "Create Account" link at the upper right-hand side of the homepage or you can simply click here. Once you are registered, you can use the search box to find an existing entry on your selected topic. On that page, you will find an "edit" link that allows you to add your text or image to the existing page. To create a new entry, there is a page that will help you establish a new entry topic here. If you want to add an image, click here for information on uploading. Ready to make an edit? Find a related theme or topic to your semester campaign and make a valuable contribution to that wiki entry. Here is a great Wikipedia "cheat sheet" for formatting of your text. If you do edit or create any wikipedia entry, it is important to remember that each article is meant to document existing research -- it is not meant as a place for "original research" and/or opinions. The voice and tone should be neutral and all information presented should be verifiable with attribution. Looking for even more tips on "best practices" for wiki creation and campaigns? Click here. A complete online tutorial to creating your own wiki page is here. There are also some general tips to help you here. Please review the four media campaign building scenarios below and share your thoughts. 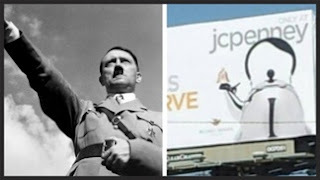 JC Penney came under fire by bloggers and the media for a recent billboard campaign promoting a kettle that some say resembled Hitler. The company claimed it was unintentional but still suffered from backlash on social media. Develop a strategy to help JC Penney in this situation. Takata has issued a massive recall of automotive airbags, which is a development that impacts millions of vehicles and dozens of car brands. 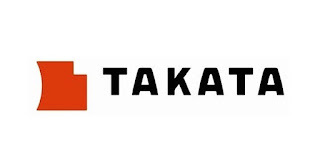 Develop a strategy to help Takata during this crisis. FIFA (the organization behind the World Cup) is under attack by industry observers and media due to allegations of corruption. Develop a crisis response strategy that will help reinstate confidence in the FIFA and enthusiasm for the next World Cup. In 2014, CVS made a corporate decision to ban the sale of all tobacco products from its pharmacies. In the aftermath, there has been some complaints and a decline in sales. Develop a strategy to justify this position to stockholders amidst news that this has caused a decline in sales and the stock price. Who is/are the public(s) you are trying to reach? Are there key “talking points”?